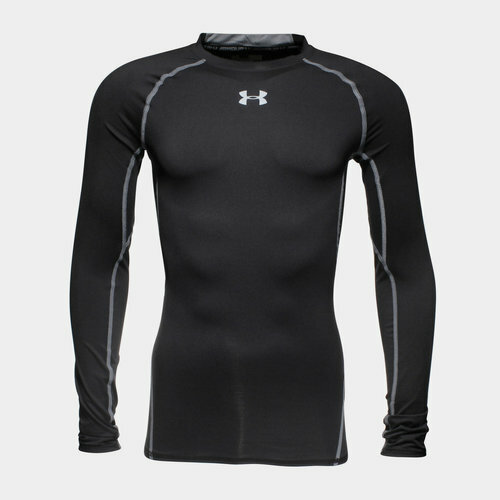 Lightweight performance that keeps you cool, Under Armour's HeatGear Long Sleeve Compression Shirt is ready for any action. Made from thin polyester and elastane for a compression fit, Under Armour apply their HeatGear fabric to leave you feeling cool, dry and light wherever this performance top is sported. Sporting a plain black look with grey stitching, a small Under Armour logo decorates the chest and back of the neck but the main focus remains on cooling comfort.